No attraction is as popular in Jamaica than the world-famous Dunns River Falls , seriously! Just about two (2) miles west of the town of Ocho Rios, the 600-foot Dunn's River falls is in fact so famous that the parking lot is a vast sea of tour buses-any day! My last trip up there was a bomb! Our youth club organized the excursion that could not have been more exciting. It was about 20 of us or so that went up there. I must admit, I couldn't really keep up with the flock; they were up and down the falls- no less than three times I figure. I only traversed it once but then I went straight down to the beach to chill out with 'Honey'- the club president who had the smaller kids at the bottom at the beach. From there we played beach volley ball, football (soccer), swim and had great fun. But even with the linking, the walk up the waterfalls is loads of fun. The guides are careful to carry cameras for you and every now and then make time for photo opportunities; this is your way to prove you actually climbed the waterfalls. Kids are also allowed to climb up the waterfalls too. Seven is perhaps a good minimum age, depending how sure-footed your child is. I would encourage you to bring aqua socks, if you have them; buy rentals are available. The cost of renting may be a little expensive though. The climb may take anywhere from 45 minutes to an hour. The cost at that time for visitors was $15US for adults and $12 for children under 12 years of age. You have between 8:30 and 5:00pm to have all the fun, but the last climb goes up at 4:00pm. Now if you enjoy Mother Nature, you may lose yourself in lush tropical foliage - ferns, bamboos, ginger lilies, crotons, orchids, a variety of palms and breadfruit trees up there. And if you are a souvenir hunter with a genuine love for wood carvings, straw craft and intuitive art, you can browse through the shops in the craft park for unique souvenirs items and gifts. While Dunns river falls is an amazing experience, please don't overlook the quieter, less popular YS Falls down in the St. Elizabeth (south)- about an hour from Negril; nor the beautiful Mayfield Falls which is 'hidden in the hills' of Westmoreland. They are equally good! 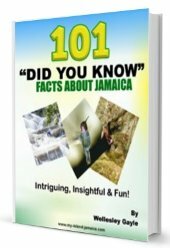 Most, if not all, hotels in Jamaica arrange trips to Dunns river falls so whether you are in Kingston, Port Antonio, Negril, Montego Bay or the South Coast, don't worry, it is not a problem for you to get there. 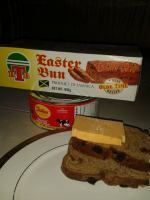 My General Jamaica Pictures album.